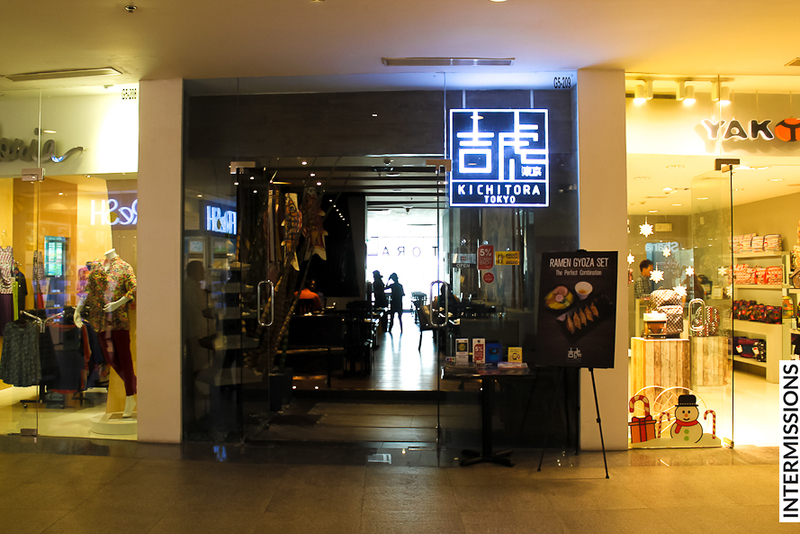 A shopping trip to Glorietta 5 meant a chance to try Kichitora of Tokyo. 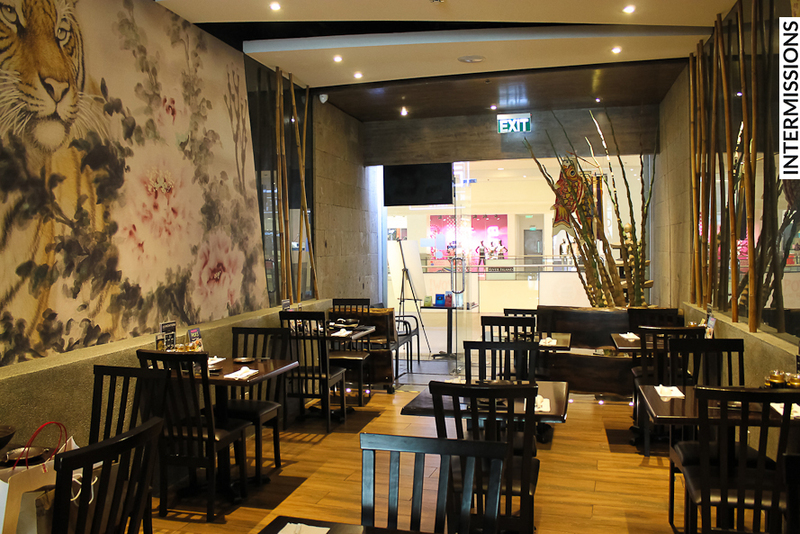 So, for lunch, we headed into the restaurant chain’s second branch in the Philippines. 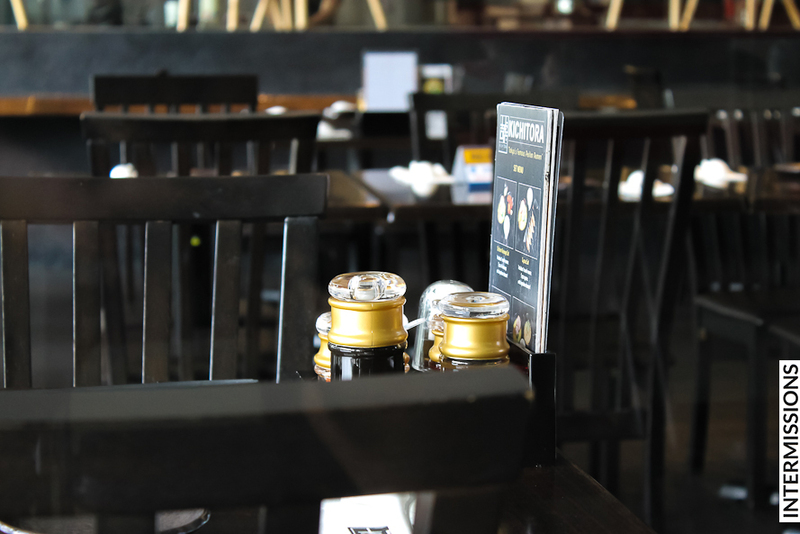 From outside, the restaurant provides a sleek and stylishly dark contrast compared with its neighbors. 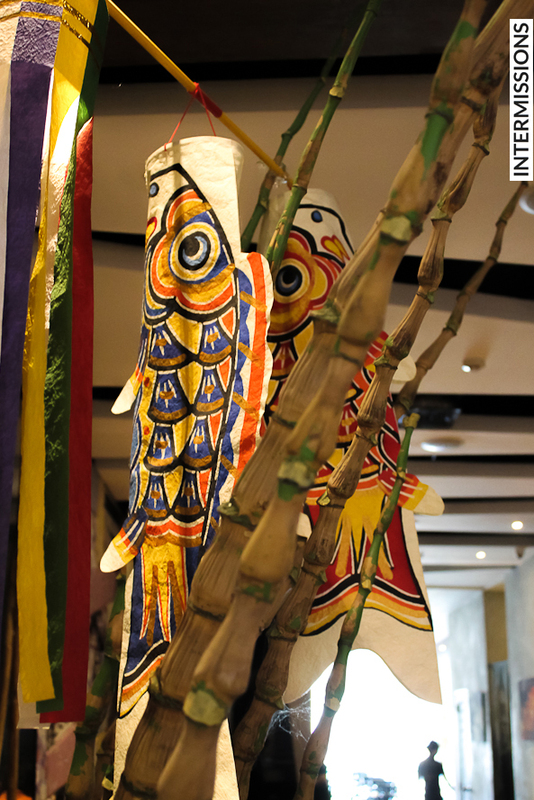 As we waited for our order, we got to take in the décor; the interesting Japanese accents such as the bamboo elements, the koinobori streamers, and the colorful kimono fabrics on the walls. 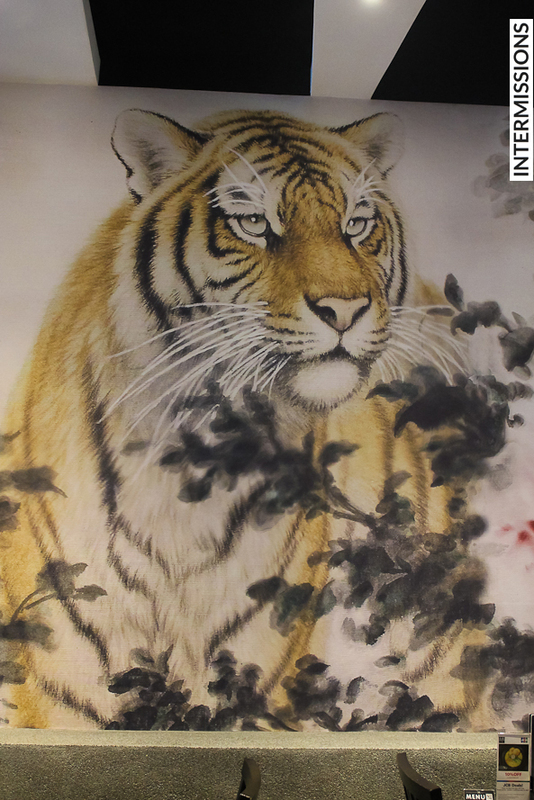 There is, of course, a mural featuring a tiger which is a nod to the origins of the restaurant’s name: kichi = lucky, and tora = tiger. 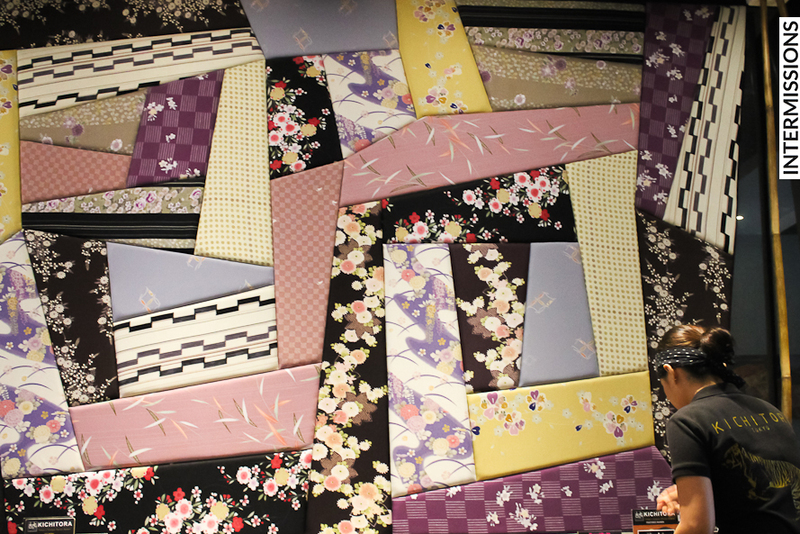 The table setting hinted of fine dining, although too many tent cards for promos brought about a certain fast food feel. 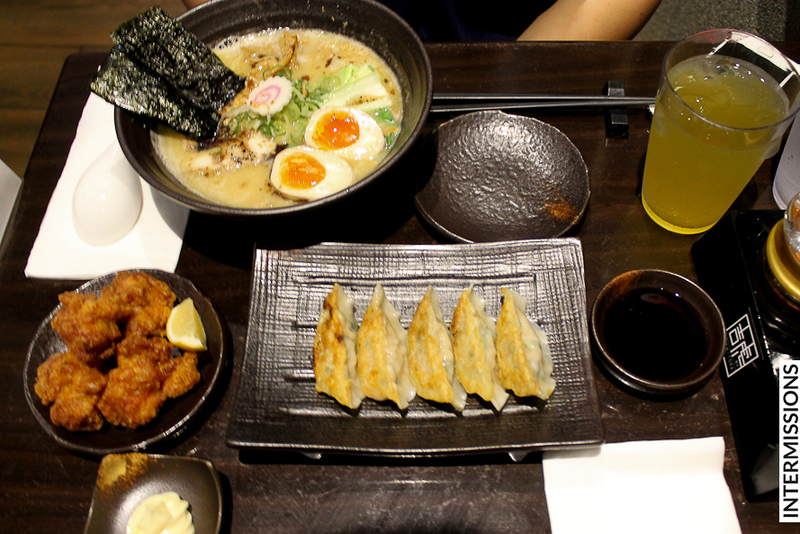 We both had their bestseller, the Paitan Ramen Zenbu no Se, plus Chicken Karaage and Gyoza on the side. The Paitan Ramen Zenbu no Se with its milky chicken broth had a different punch from the pork broth we’re used to in Manila, but is delicious nonetheless. 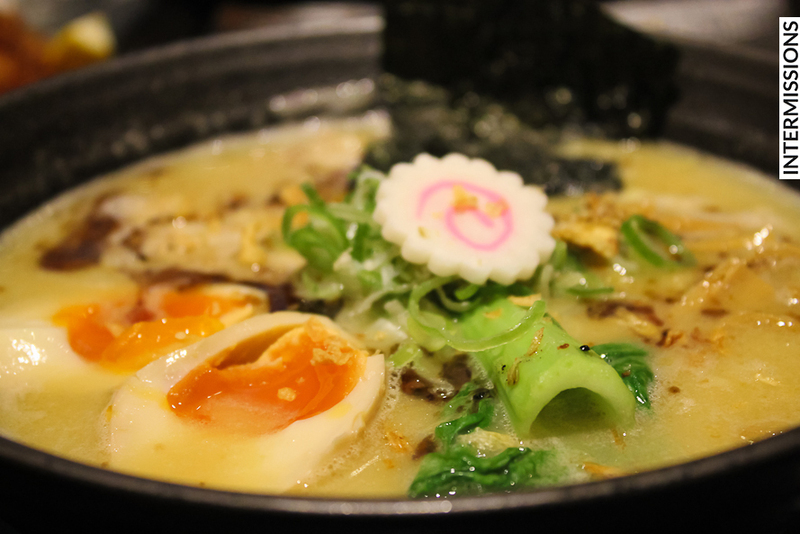 Pork lovers needn’t worry since this ramen bowl’s ingredients include generous amounts of chashu. The slices of ajitsuke tamago also add to the creaminess of the dish. 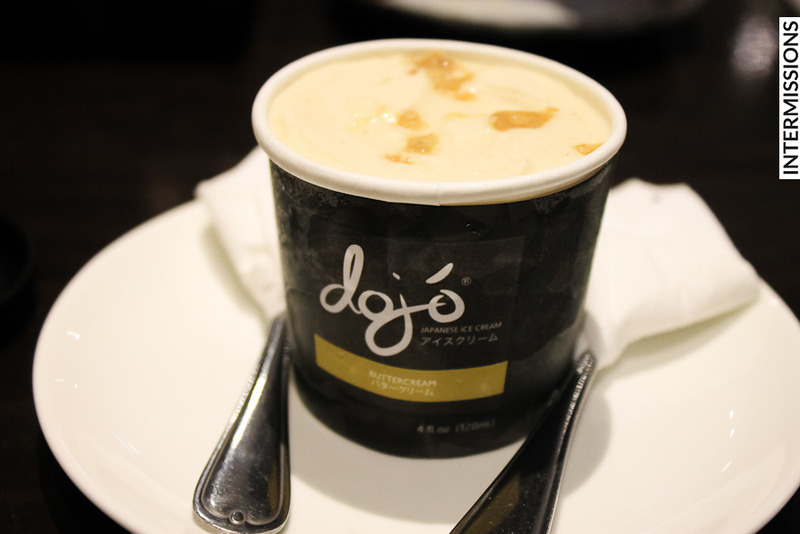 For dessert, we found out Kichitora had Dojo Dairy Japanese Ice Cream, which we first tried in Little Tokyo. The Buttercream flavor was the indulgent ending for our meal. 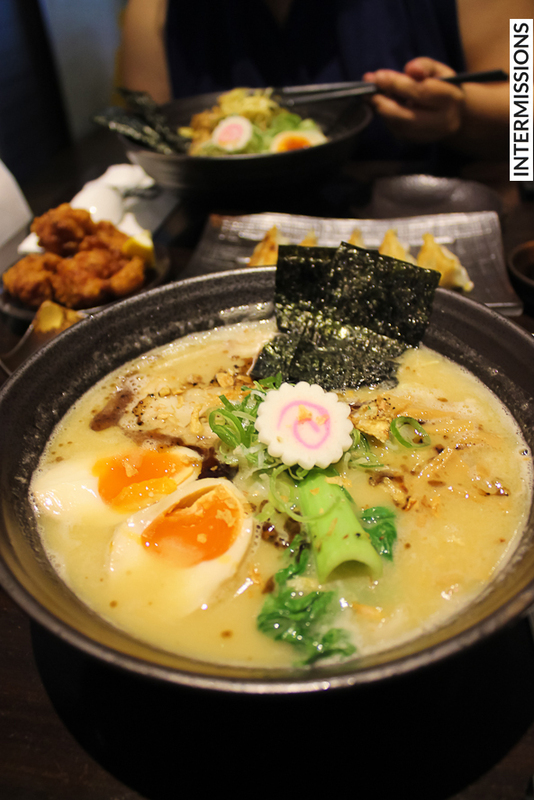 Our reco: with the Paitan Ramen Zenbu no Se alone, we understood why Kichitora gets mentioned among Manila’s top ramen places. It’s definitely worth a try. 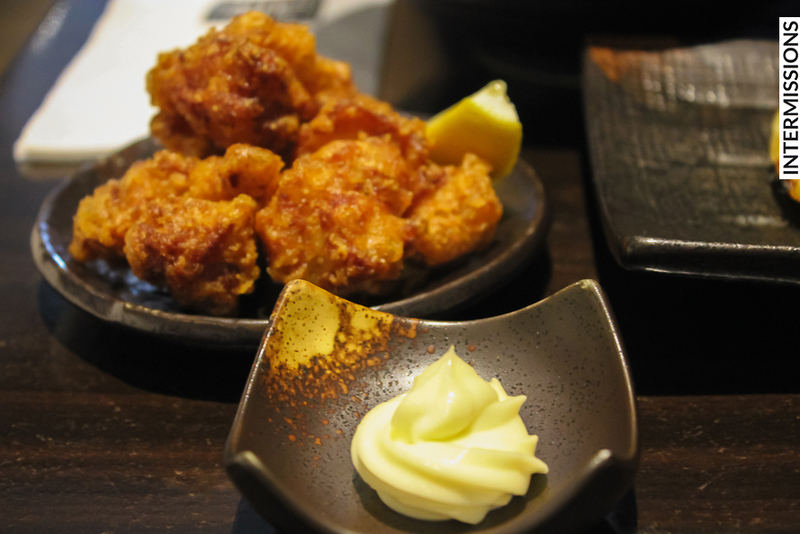 We’ll be back to check out Kichitora’s other offerings.